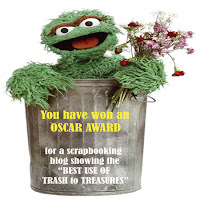 CardMonkey's Paper Jungle: It's OSCAR weekend! Who will you bestow this award upon? 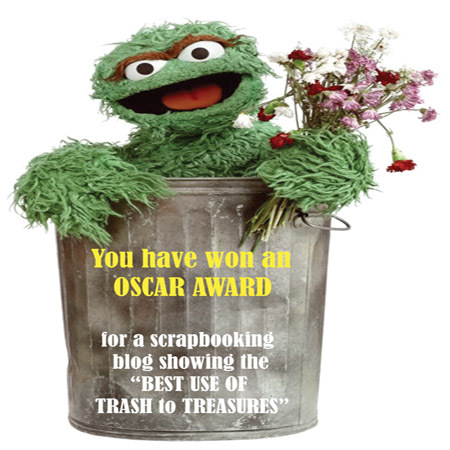 Upload this award, and this weekend, share it with 3 of the bloggers you think best uses "up-cycled" material in their scrapbooking or cardmaking. What better time to start handing out OSCARs than this weekend in Hollywood?